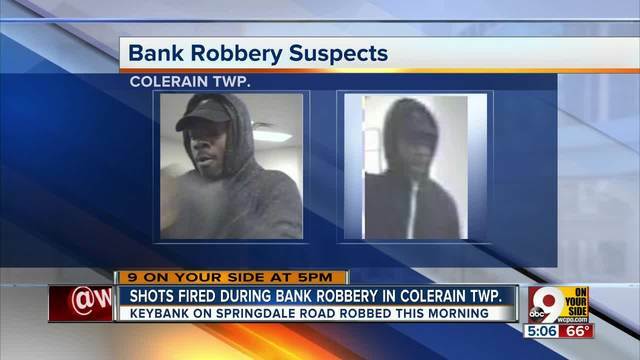 Colerain Township officers were called to the bank at about 11 a.m. Employees told police the robber, wearing dark clothing and a black hat, came inside and demanded money. 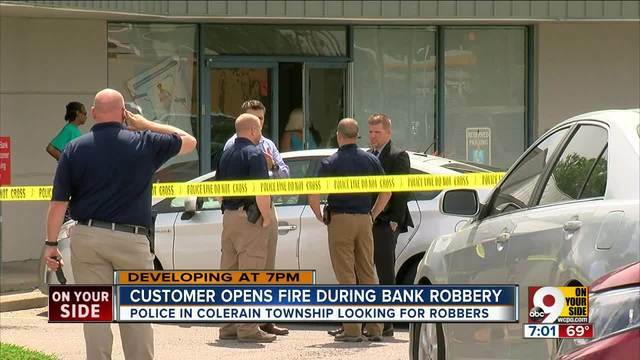 Jim Love, Colerain Police Department spokesman, said investigators believe an accomplice waited outside. At some point, a customer and the robber fired on each other. None of the customers or employees was harmed. It's unclear if the suspect was injured. Police put in an alert to local hospitals in case he comes in with a gunshot wound. The two men were last seen running off, Love said. "It would seem maybe they had a getaway plan -- maybe a vehicle somewhere else," he said. "We are not real sure, but it doesn’t look like we can find them right now." The customer who fired was legally carrying the firearm, Love said. 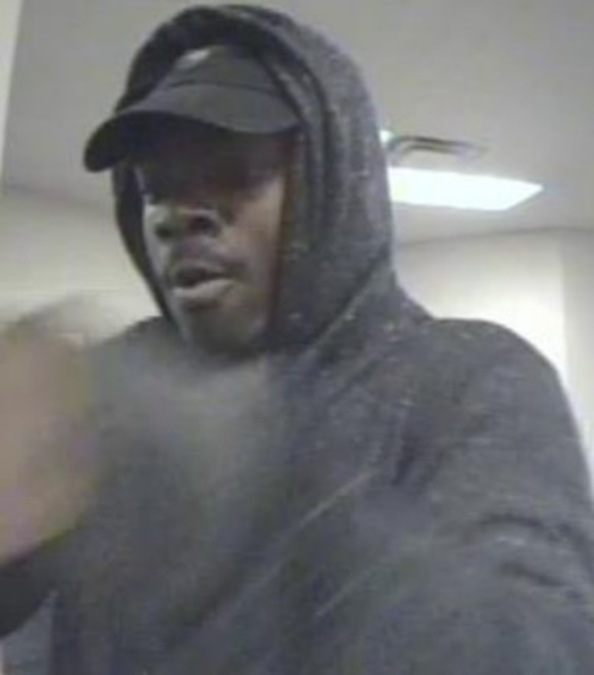 Anyone with information on the robbery or the man in the photo above should contact the Colerain Police Department’s Criminal Investigative Unit at 513-321-COPS.